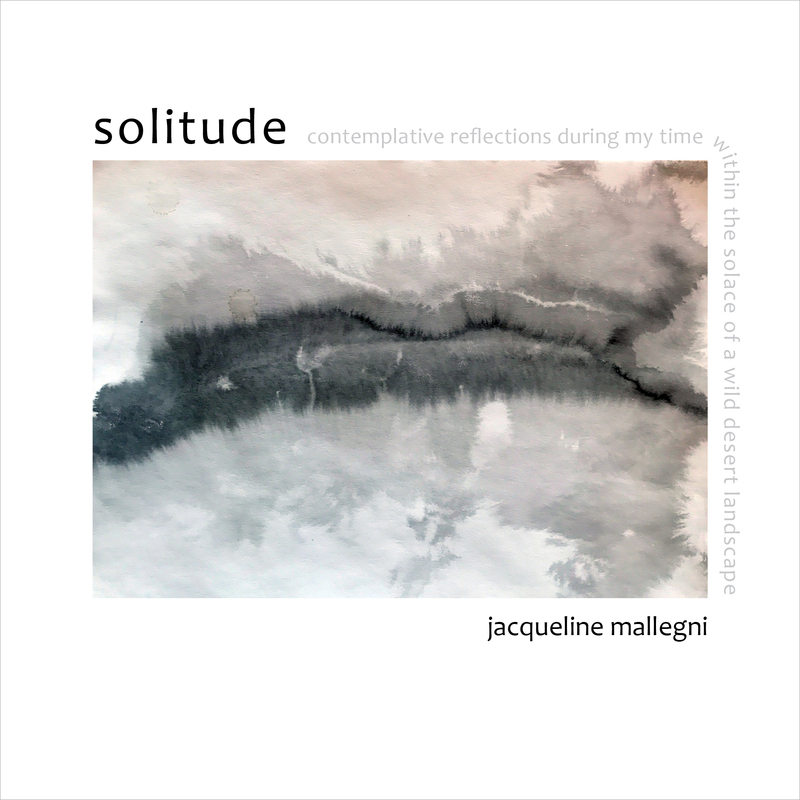 Artist and poet Jacqueline Mallegni moved to New Mexico at a time in her life when she wanted to realize the dream of building her own off-the-grid home studio where she could dedicate herself to art full-time. Santa Fe, with its flourishing art market, expressive native culture, and inspiring natural environment, seemed like the perfect place. The poems and art creations in this beautifully prepared volume are a record of her journey—perhaps every artist's journey—of self-discovery and deep encounter with a sense of place. Jacqueline Mallegni is an internationally recognized artist who creates mixed media minimalist sculpture. Her focus is on the concept of “the spaces between” — between us and them, inside and outside, contemplation and chaos. Mallegni’s sculptures are small installations made with rattan, foraged natural materials, Japanese-style handmade paper, cast flax, and silk roving fiber, and embellished with monoprints infused with sumi ink. Her intention is to evoke a sense of place, to explore one’s relationship to that place, and to pause and reflect on the beauty within. Her work is ethereal in nature, inspired by Asian aesthetics and philosophies of wabi-sabi — acceptance of transience and imperfection, and yugen — deep awareness. 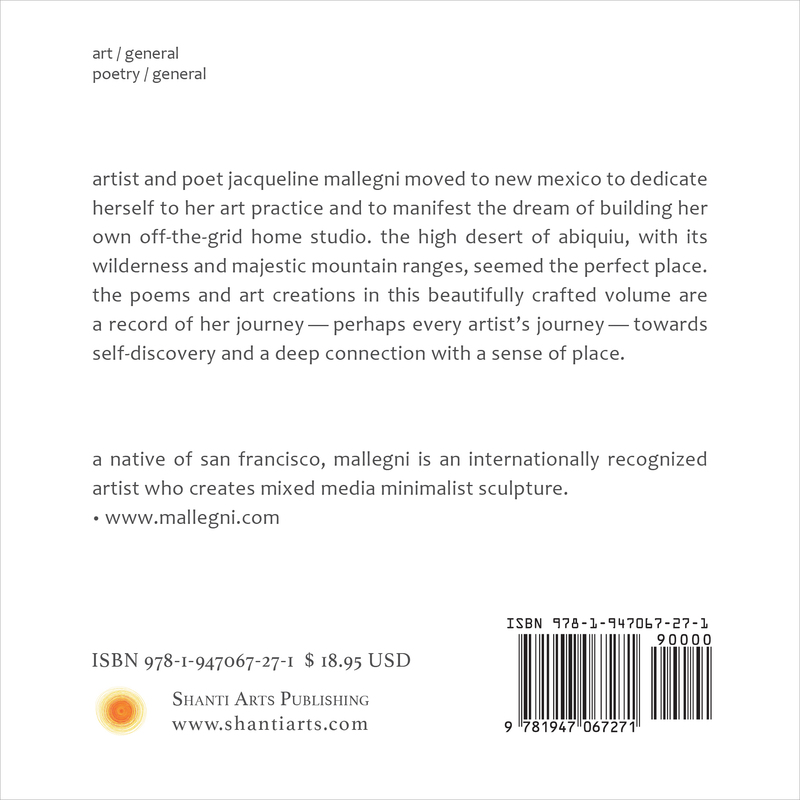 Mallegni is a native of San Francisco. She teaches workshops in California and New Mexico; is a member of the Surface Design Association, New Mexico Fiber Artists Directory, American Craft Council, International Association of Hand Papermakers and Paper Artists; and is affiliated with InArt Gallery (Santa Fe, New Mexico) and Made Contemporary Craft (Stinson Beach, California). Her work has been published in Still Point Arts Quarterly and West Marin Review.